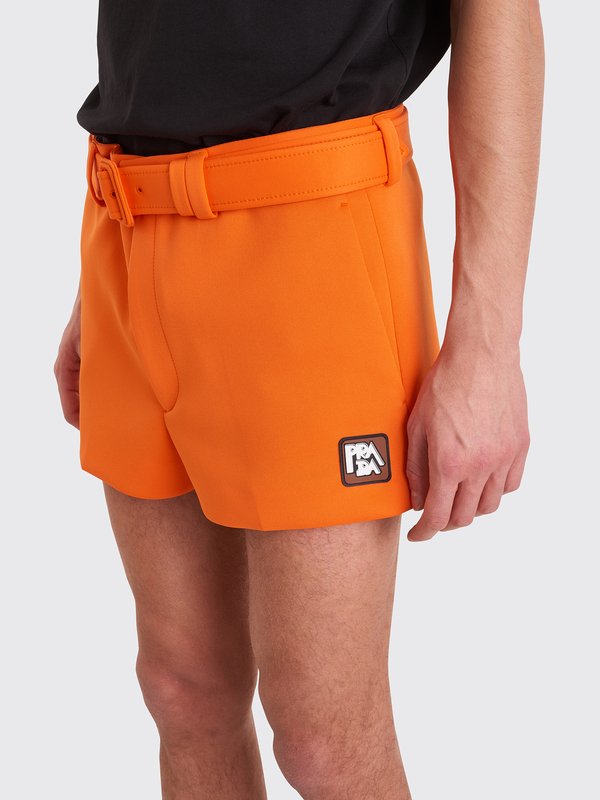 Shorts from Prada made from a technical polyester jersey. 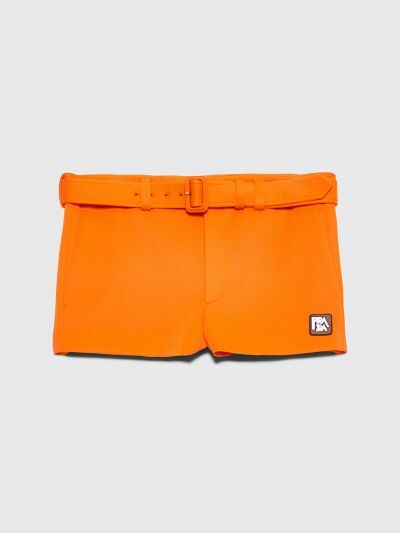 Features belt loops, drawstrings and an adjustable belt at the waist. Two slanted front pockets and a hook and zip closure. 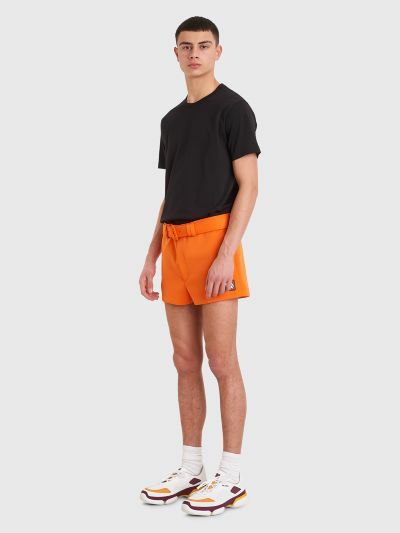 Rubber patch logo on the left leg. Pocket on the back with zip closure. Orange shorts made from 98% polyester and 2% elastane. 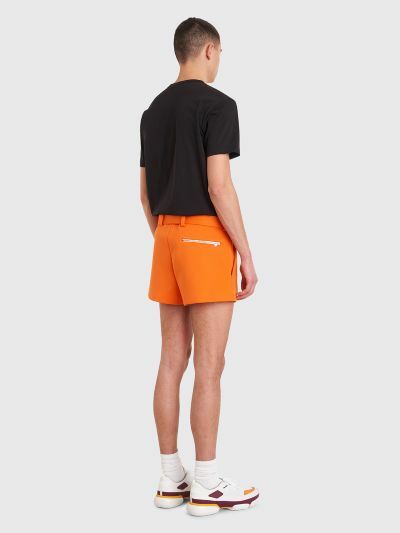 Short fit. Model is 187 centimeters and wears size 48.